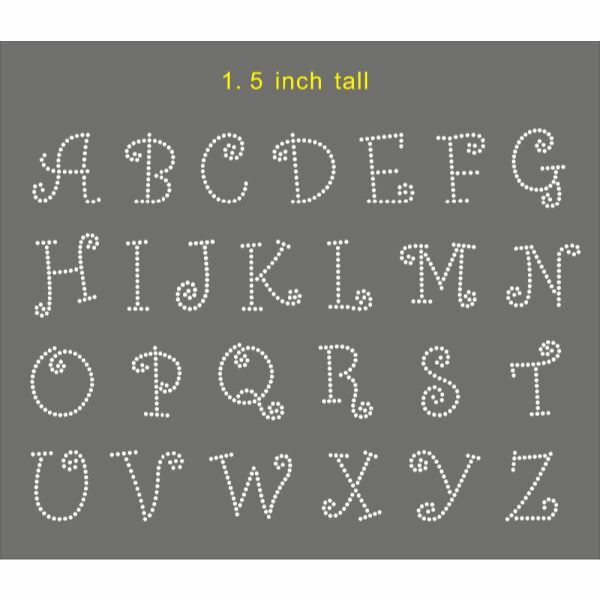 Rhinestone / Diamante Iron On Alphabet Letters. These fantastic letters are perfect for ironing onto fabrics or onto cards. Simple to use, simply place your letter, cover with a cotton cloth and iron on to get a secure fit. Each sheet contains 26 letters that are approx 1.5 inches in height.